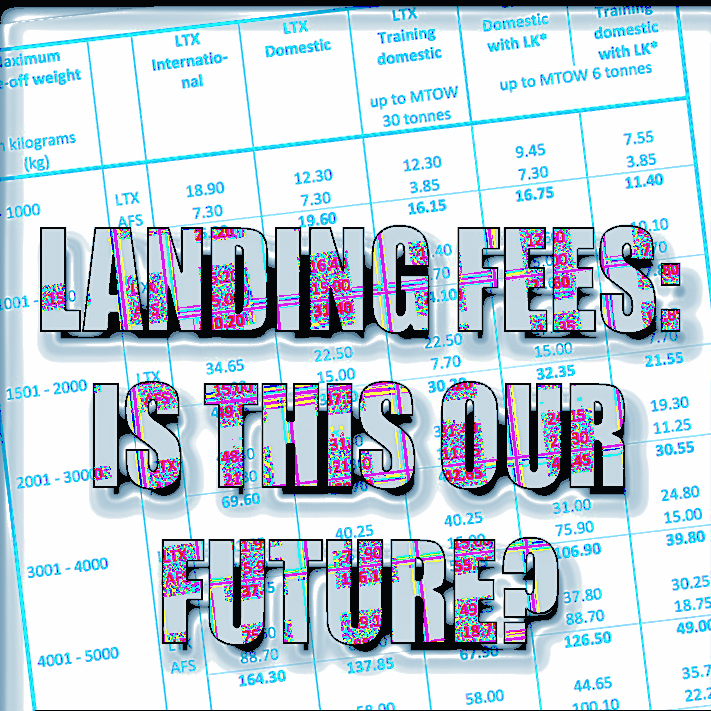 (Editor’s Note: This is part 6 of an ongoing series looking into possible ATC privatization and how user fees are structured in the European Union. You can read part 1 here, part 2 here, part 3 here, part 4 here and part 5 here. In this ongoing series, I began by talking about EU-style user fees and what a similar system in the U.S. could mean for GA and business aviation. Yes, it painted a pretty grim picture, and if we have to fly in a system like those unfortunate GA pilots must endure, there is no debate in the GA and bizav communities that it will severely increase costs to an already expensive endeavor, surely leading to less people flying, learning to fly or buying airplanes. The trickle-down aspects of such a scenario should be frightening. Most smaller aviation businesses struggle now as it is, and when you take away a large portion of their market, it could lead to shuttered FBOs, closed flight schools, pilot gear makers throwing in the towel, and of course, airplane manufacturers possibly pulling back or stopping production. And that used airplane market that is so soft now? Try selling your used Cessna when the person buying it faces fees for everything. The market for previously-flown aircraft will plummet, and brokers who rely on a steady flow of sales will be forced to close their operations. In my quest to find out just how bad it could be if we get EU-style user fees here, Airplanista interviewed Vincent Lambercy, a private pilot flying in Switzerland. He experiences user fees on every flight, so please share the following with everyone you know so we all can see what our future may hold if we do not…once again…fight off the demon that is user fees. This is an overview of the system across the Pond, and does not get into seriously crunching the numbers about actual costs. That crunching will come in a future part of this series when I look at some specific charges at typical EU airports. I promise it will blow your mind. And FYI, Vincent’s answers here reflect his personal opinions only and not that of any employer or outside association. Airplanista: So, introduce yourself to my readers. Vincent: My name is Vincent Lambercy, I learned to fly in Geneva (LSGG) and have also been based in Lausanne (LSGL) and underwent some training in Cannes (LFMD) as well as Egelsbach (EDFE). I've been flying since 2000 and flew 450 hours between 2000 and 2008. Since 2008, I'm more an occasional flyer, for personal, financial and family reasons. I have an EU PPL(A) with night and instrument privileges for single and multiple engine piston. My most flown aircraft type is the PA-32 Saratoga (P32R-301). I've flown in Switzerland, France, Germany, Italy, the UK and in the U.S. In 2010, I was part of the Flying Across America project with Jason Schappert. We flew Florida - California - Florida in his Cessna 150. Airplanista: Tell us about yourself, what you do, and what projects and sites you are affiliated with. Vincent: I'm a software engineer by training, and moved to project management and sales. I was with the Swiss ATC company (Skyguide) between 2000 and 2008, then with the German ATC company (DFS Deutsche Flugsicherung GmbH). I'm now with a small company ATRiCS, which makes systems for air traffic controllers. I'm also an active blogger (www.onlinehangar.com), app developer (www.appcontrolgame.com and www.radionavsim.com) and I published two e-books, one about flying in Europe (including a long chapter about user fees) and one about flying glass-cockpits. Airplanista: How long you have been flying in a user fee environment, and explain the exact name of the agency that regulates your flying (like our FAA) and who charges the user fees. Airplanista: How exactly are user fees paid? Do they bill you, do you have a credit card on file, how exactly does the financial end of user fees work over there? Vincent: The standard procedure is that you go to the Airport Reporting Office (ARO) and fill out a form indicating your aircraft type (as the fees depend on the MTOW), origin and destination, type of flight (VFR, IFR, private, commercial, instruction, etc) and number of passengers. The landing fees depend of all these factors, as some airports are generous enough to offer discounts on instruction flights. Some also have extra fees for landings at night. Note that night flying is a seasonal activity here as most airports close at sunset. The aircraft type I learned to fly with was the AS-202 Bravo, it had a MTOW of 2,202 lbs (999kg). Many airports have different landing fees for aircraft below 1000kg, then 1000kg to 1500kg, 1500kg to 2000kg, and so on. At small airfields, it is frequent to have a box where you can pay the fee in cash if the office is closed. And operators (owners, flying schools or flying clubs) can also register directly with each airport to which they fly often to have their fees charged directly. This does not avoid having to report, but you can then do touch and goes or approach and depart immediately without having to go to the office, which makes training easier. So the fees are paid to the airport authority, mostly in cash or with credit card. If you land five times, doing touch and goes, then you pay five fees, but go-arounds are usually free. Usually. Airplanista: Does filing and flying IFR make any difference in the amount of user fees you pay? Vincent: First of all, private IFR in Europe is a very seldom thing. I know only a handful of other PPL holders with an IFR rating, and I’ve heard the overall proportion of instrument rated private pilots is below 5% here in the EU. Because EUROCONTROL regulates the traffic over the continent, avoiding holds by giving departure slots, an IFR flight plan must be submitted at least 30 minutes before departure, and two hours is much safer, to avoid getting a bad slot. I've been surprised when flying in the U.S. that asking for an IFR departure directly with Tower is possible, just to pop-up through a low layer of clouds! Airplanista: O.K., tell me an EU user fees horror story. Vincent: I once wanted to fly from Geneva, Switzerland to London-Gatwick and contacted the airport prior to departure to know if it would be possible with a light aircraft, if IFR would make it easier than VFR, and so on. Gatwick is the busiest single-runway airport in Europe. The answer was that we were welcome and that controllers could manage both VFR and IFR arrivals. An “off-peak time” landing though would cost 250GBP, which is $325 in USD . The “off-peak” hours are only a few hours in the late night and very early morning, and were not doable starting from Geneva. An "on-peak" landing would cost 650GBP, which is an unbelievable $845 in USD…more than the price for renting the aircraft for this flight! We ended up landing in Biggin-Hill, which serves the London area quite well. 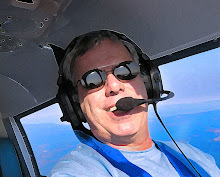 Airplanista: Have you ever heard of pilots flying in questionable VFR weather because they did want to pay to file an IFR flight plan and incur other charges? Vincent: VFR and IFR both pay for landing fees. The only surcharge by IFR is the approach fee, so it would not make a too significant difference. And because IFR flight plans must be planned well in advance, this case does not really occur often. Even more so with so few IFR pilots. Airplanista: Do you feel that your user fee system is expensive, and how much does it add to your overall annual flying spending? Vincent: This really depends of the kind of flying you do. During basic training, flying patterns, working on your landings, you can do maybe six landings an hour, which is about a third of the total price of aircraft rental plus landings. On the other hand, if you fly a three-hour cross-country and land at a cheap airport, the landing fee will not even be 5% of the total price. 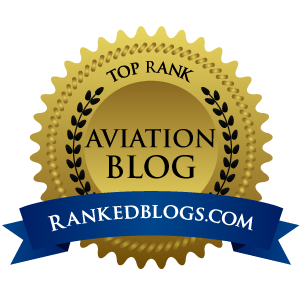 Airplanista: Do you feel having to pay user fees has caused GA growth in your country to stall or shrink in number of pilots and planes flying? Vincent: I can't really answer to that as I did not see the introduction of user fees, it has always been there. Other constraints, like fuel prices and stronger security measures makes it much harder to fly GA. I can't remember any time when GA was growing here in the EU.